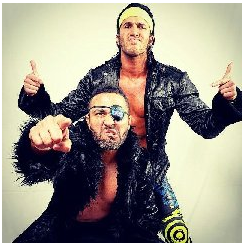 Roppongi Vice (Rocky Romero & Beretta) (3 Time NJPW Jr Heavyweight Tag Team Champions) have some dates open in May - August and are available for select Independent wrestling bookings through Bill Behrens and SBI. They have particular interest in UK & Europe bookings. They are based in Los Angeles & Rochester, NY.